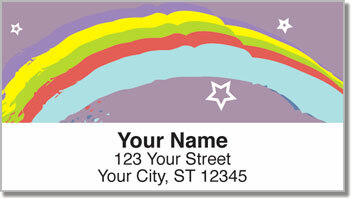 Here's a brilliant concept for return address labels that will make your mail stand out from the rest of the pack. 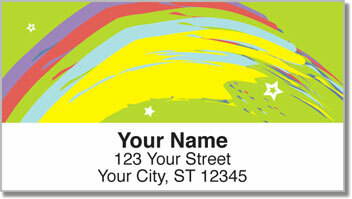 Streaks of vibrant colors curve across this artistic rainbow design as tiny white stars add attractive accents. It's a fantastic way to stick a little flair on those plain, white envelopes and brown paper packages. This is an eye-catching finishing touch that shows off your playful personality! Plus, this product will also make a tedious task quick and easy. 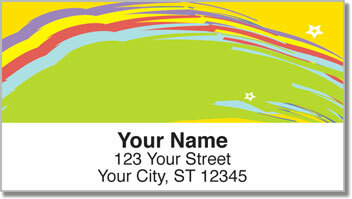 You'll never have to scribble out your return address ever again thanks to the self-adhesive backing on your new labels. 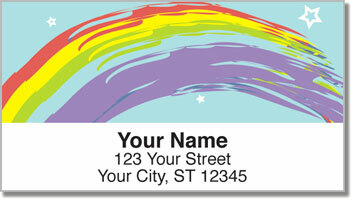 Get your own Rainbow Sweep Address Labels today! Look for the matching personal check design too.